I’have finally found an excuse to use my Akeru SigFox board, with some lines on Arduino, two libraries, and a Ethernet shield, you can monitor if your network getaway, or server, website .. what you want in fact, still alive, with a ICMP request. 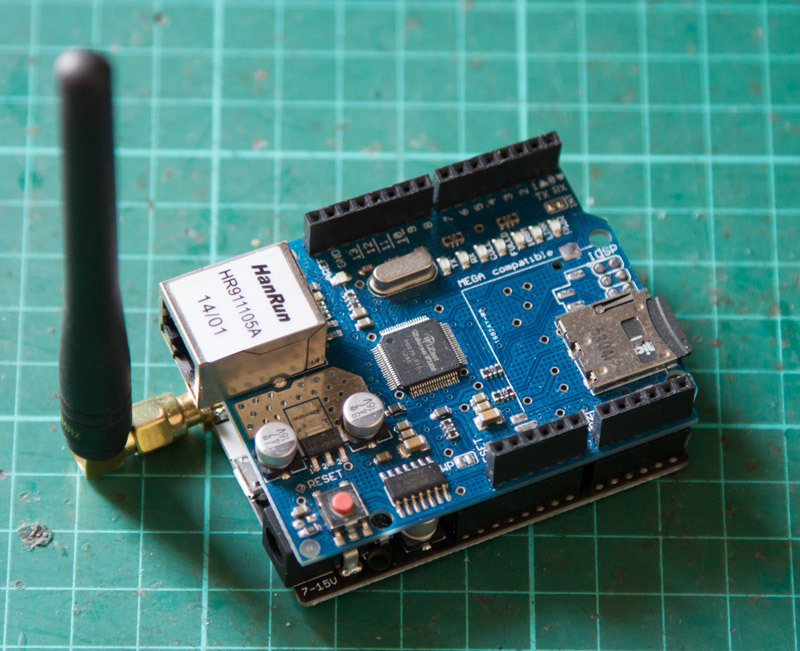 The akeru board is stacked with the Ethernet shield, the loop check is the defined IP adress respond to ICMP request, if not, the akeru board send a SigFox request to the SigFox network, then the callback function send a email alert. 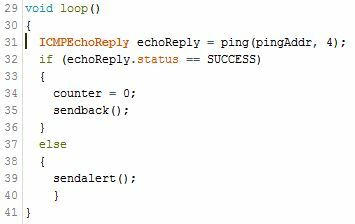 The code is very simple, you can find the sketch for Arduino here, don’t forget to include ICMP and Ethernet libraries. 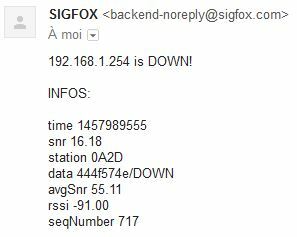 In case of network failure he send a “DW” request to SigFox, and/or “UP” when the network is again available, to avoid flooding network, and send alert only once, two variables called ‘counter’ will be used. After have loaded the sketch into your board with good parameter, (ip address for Ethernet shield and target ip), plug it to your network with a Ethernet cable. 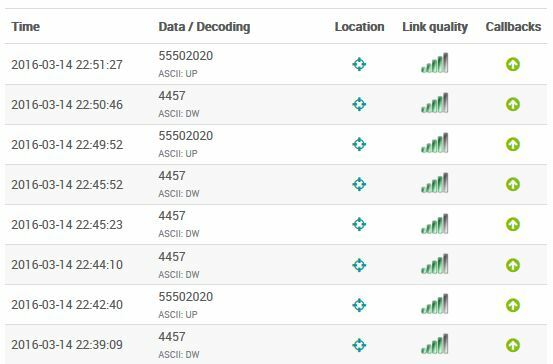 Go to SigFox backend, then Callbacks area, and create a new Custom callback, with the following parameters: Custom payload: status::char:2 , this is needed to convert raw data to correct format. 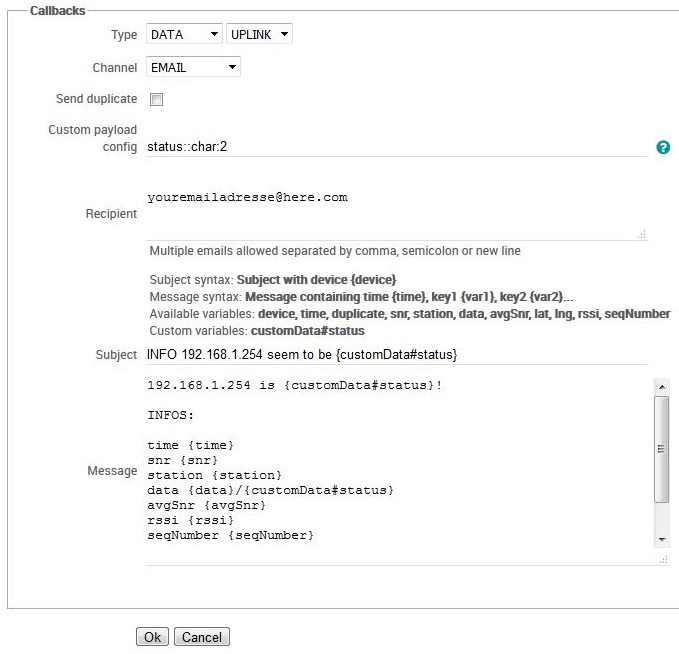 (5550/4457 => UP/DW), add your email, and variables to display technical information (optional).